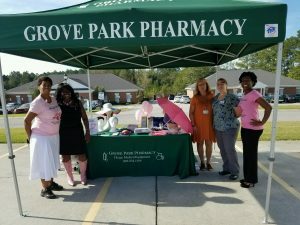 Grove Park Pharmacy has a long history within the Orangeburg community. We are family owned and operated and we offer services beyond the traditional Pharmacy. We have a full line of Medical Equipment to help make activities of daily living a little easier. We also have our own in house Hospice to care for patients facing a terminal illness. It is our goal to provide a full continuum of care for our patients. Our Staff are committed to providing the best possible care to all of our patients. 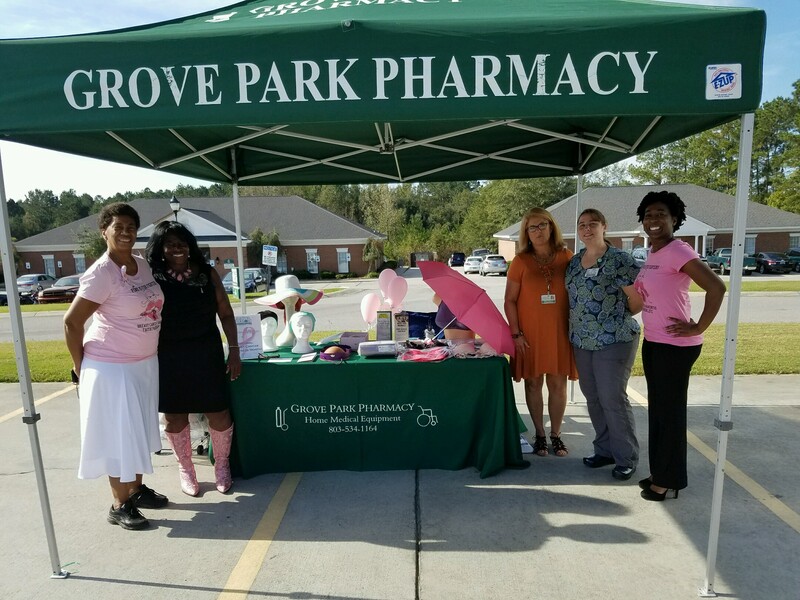 Celebrating Breast Cancer Awareness with Singleton’s Health Clinic and tRMC.